On August 9, 1945, on the tiny island of Tinian in the South Pacific, a twenty-five-year-old American Army Air Corps major named Charles W. Sweeney climbed aboard a B-29 Superfortress in command of his first combat mission, one devised specifically to bring a long and terrible war to a necessary conclusion. In the belly of his bomber, Bock's Car, was a newly developed, fully armed weapon that had never been tested in a combat situation. It was a weapon capable of a level of destruction never before dreamed of in the history of the human race, a bomb whose terrifying aftershock would ultimately determine the direction of the twentieth century and change the world forever. The last military officer to command an atomic mission, Major General Charles W. Sweeney has the unique distinction of having been an integral part of both the Hiroshima and the Nagasaki bombing runs. Now updated with a new epilogue from the co-author, his book is an extraordinary chronicle of the months of careful planning and training; the setbacks, secrecy, and snafus; and the nerve-shattering final seconds and the astonishing aftermath of what is arguably the most significant single event in modern history: the employment of an atomic weapon during wartime. "Maj. Gen. Charles W. Sweeney is a revisionist historian's nightmare—a clear-eyed, thoughtful witness who remembers exactly what he did and why. 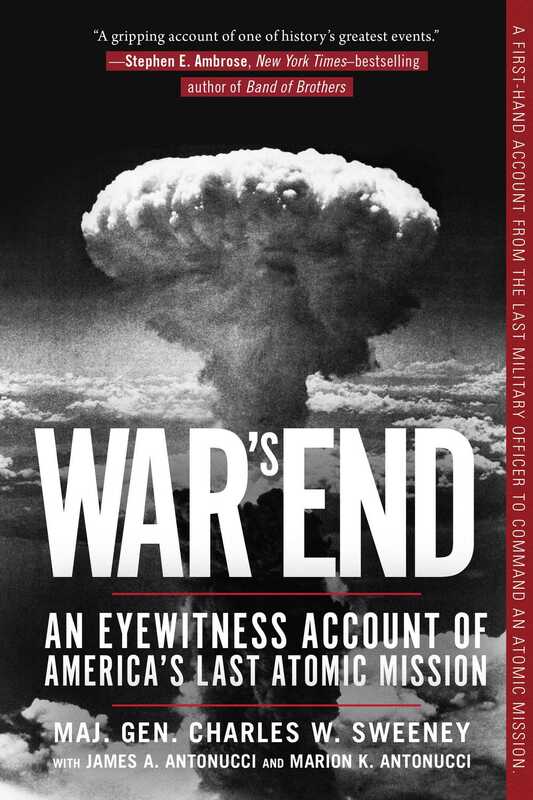 Reading War's End: An Eyewitness Account of America's Last Atomic Mission, it becomes difficult if not impossible to ascribe other motives to the men who bombed Hiroshima and Nagasaki, as so many latter-day interpreters have sought to do. There is no arguing with his somber, compelling story. But this is also an account of the daily life of the men and women who fought World War II, written with such detail, sweep, and compassion that it might have been a novel, not an autobiography. Charles Sweeney is the best kind of warrior, motivated by real patriotism. For setting straight a difficult record, his book is invaluable. For commemorating a generation of heroes, his book is unforgettable."